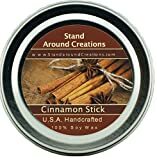 This Fall and holiday season, enjoy the warm, subtle scent of natural cinnamon wafting through the air with this cool new Cinnamon Bark Tealight Holders. These decorative tealight candle holders are made from glass with the perforated bark of a cinnamon tree wrapped around them. When the candle is lit, the flame warms the bark to release the scent of cinnamon and sends pins of illumination out through the patterns off the bark. 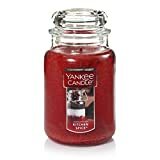 A very unique alternative to traditional scented candles and they come in sets of three. Subtle vapors of cinnamon waft through the air.